Sometimes we all need a good pep talk, whether it’s because of an awful dead end job, a relationship that’s not quite going the way you thought it would or maybe you’re just having a bad day. Maybe you take solace in watching conspiracy theories on YouTube or maybe you really like pictures of cats, either way, the internet can be an interesting place to turn when we’re down. It can either perk us up or drag us further down. As a natural sarcastic pessimist, my favourite comedy comes in the form of dry, unadulterated wit. This, as any form of comedy, is offensive and frankly very entertaining. I once watched the entire castles comedy show by Russell Kane and I don’t think I took a breath for the entire duration. 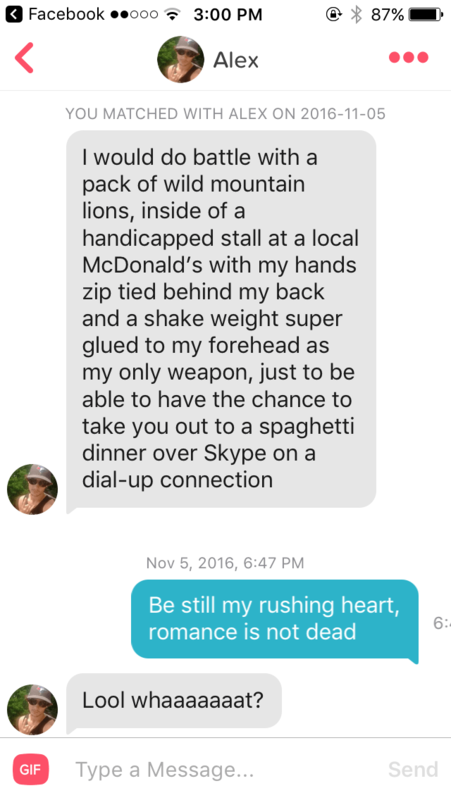 My ribs ached. It was a horrible observational comedy that had me laughing and cringing at the same time. In an attempt to start 2017 with a positive mental attitude, I thought I would share my favourite instant perk-me-up specials that will hopefully make your day that little bit better. 1. Straight white boys texting. This gem of a Tumblr page never fails to encourage the feminist in me and has me inappropriately giggling and gasping at the stupidity of these white privileged boys (misandry!). As well as entertainment, this website provides an educational insight into how society treats men. 2. Ryan Reynolds’ twitter account. They couldn’t have cast a better Deadpool, like Tony Stark and Robert Downey Jr., Wade Wilson and Ryan Reynolds are the same person with the same sarcastic funny bones. 3. 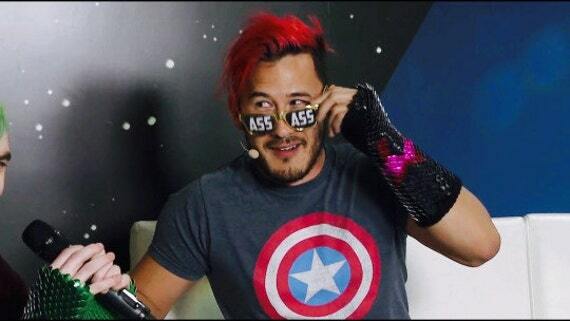 Jacksepticeye & Markiplier YouTube videos. It seems the only way is up for these two. With millions of subscribers between them and an ever growing knowledge of their fan base, not only has the production quality increased in the past year alone but the video content has become refined. While Markiplier’s deep American accent reverberates through your speakers as he talks through his latest gaming video, Jacksepticeye screams at you, abusing your eardrums with his endearing Irish charm. While Jacksepticeye maintains the enthusiasm of a Jack Russell throughout his videos, markiplier takes a varied approach. It’s his giggle during his try not to laugh challenges that never fail to make me chuckle. 4. With so many new shows and so many platforms to watch said shows on, it’s hard to discover the real gems without someone pointing them out to you. So I bet you’re glad I’m here! (Kidding, sit back down, you’re not leaving yet). Remember that sick and twisted sense of humour I mentioned earlier? That’s why I love Bob’s Burgers and Bojack Horseman, quirky animations dripping with sarcasm and an underlying expression of society that we can all enjoy ironically. (There was a bit of a food theme when I was finding these GIFs). 5. 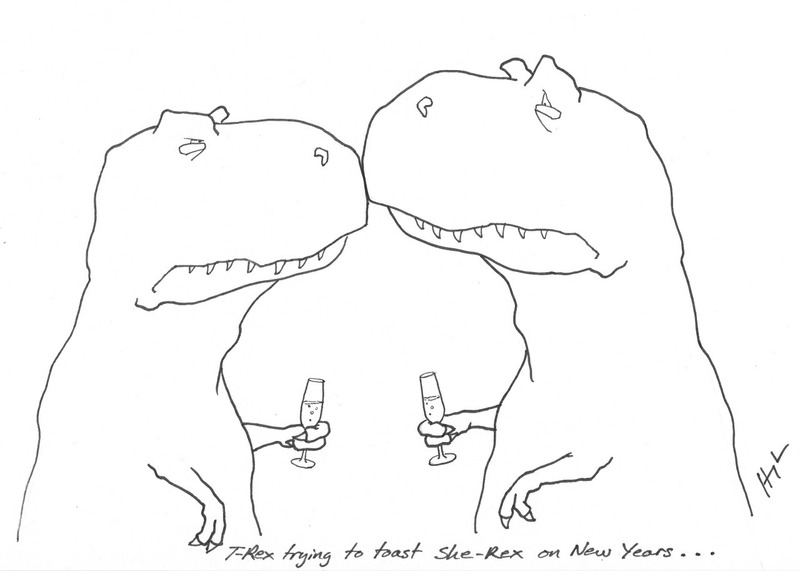 T-Rex trying. Does what it says on the tin: a whole bunch of cute cartoons of a T-Rex trying to do things but finding he can’t because of his tiny arms. The author of the page describes Hugh’s work as ‘The Unfortunate Trials of The Tyrant Lizard King’ and if you don’t find that the sweetest thing then you need a dose of this page! Got some more entertaining posts/ pages/ podcasts that you think I’d enjoy? Let me know in the comments below! The funniest will be featured in the next article with a dedication to the commenter. Thanks for reading! Kirsty out!